About this 12 Natural Finish Ruler:English Natural Finish Ruler - 12". Natural wood lightweight design. Made in the USA. Related Search Terms: RulerSpecial Instructions:Gold Rush Service not available on multi-color. About this Zippered Amenities Bag:Open your new campaign with this Pima Zippered Amenities Bag!This 0.3mil clear PVC pouch with double stitched zipper keeps their personal items secure and your brand name visible!It features gusset bottom, finger loop and side pull tab for easy open and close.Great for hotels to welcome their guests!Material: PlasticSpecial Instructions:Rush Service:May only be used on regular web quantity orders and one color imprints. About this Pocket Pre - Threaded Sewing Kit:10 pre-threaded needles with assorted thread colors, 2 buttons and a safety pin.Material: Plastic case.Special Instructions:1 Day Rush, available upon request for 1 color, 1 imprint location orders. About this Oinky Large Piggy Bank:Large translucent colored plastic piggy bank. Finish / Material: Plastic.Coin Slot.Removable Base.Special Instructions:Rush Service:1. Purchase Order must clearly state artwork instructions and logo to be used.2. One Color/One Location Imprint Only. About this Impressa - Clock / Organizer:Jumbo LCD music alarm clock with day/date calendar and thermometer. Colored metal mesh pen cup with 2 spring loaded hide away storage drawers. 2 x AG13 batteries included. Finish / Material: Plastic. LCD Time Display. Countdown Clock.Special Instructions:Rush Service:1. Purchase Order must clearly state artwork instructions and logo to be used.2. One Color/One Location Imprint Only. About this Canmore Note, Flag Ruler Set:Mini desk set with 2 color memos, 5 color flags and 4 1/2" PP ruler. 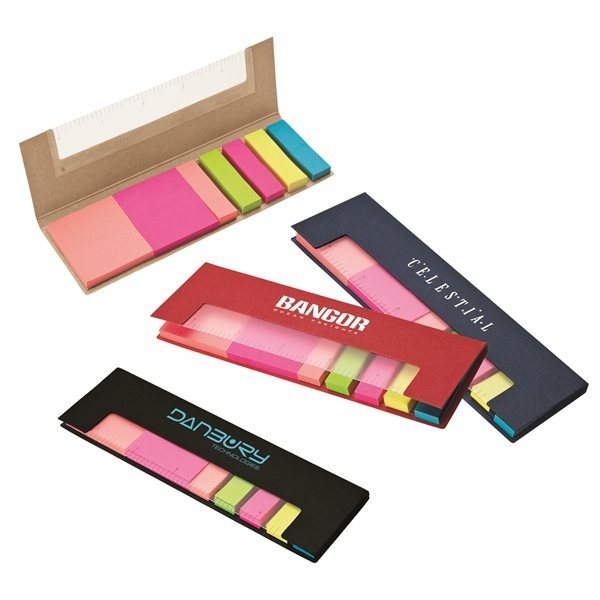 Finish / Material: Paper/Cardboard.2 Colors of 50 Sticky Notes.5 Colors of 50 Sticky Flags.Special Instructions:Rush Service:1. Purchase Order must clearly state artwork instructions and logo to be used.2. One Color/One Location Imprint Only. 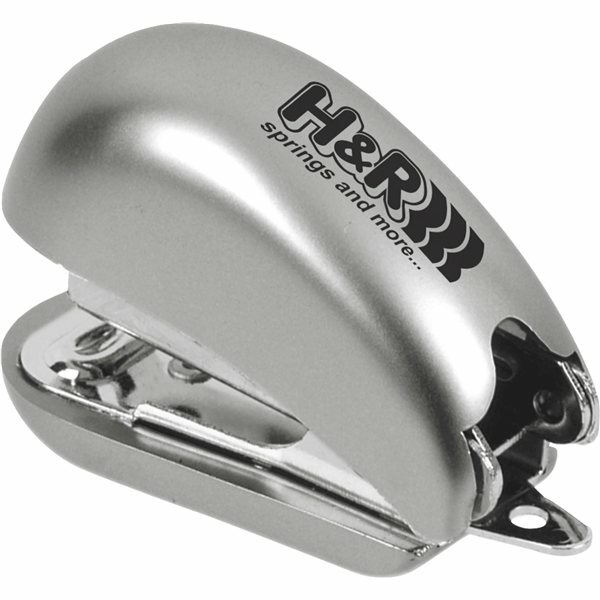 About this Mini Stapler:Includes staple remover.Staple storage compartment and matching color staples.Material: Plastic.Special Instructions:1 Day Rush, available upon request for 1 color, 1 imprint location orders. About this The Bug Mini Stapler:Includes staple remover on back and standard staples.Material: Plastic. Related Search Terms: Mini Stapler Special Instructions:1 Day Rush, available upon request for 1 color, 1 imprint location orders. About this Piggy Bank:Desktop Bank.Twist-open bottom to access stored change.Material: Plastic.Special Instructions:1 Day Rush, available upon request for 1 color, 1 imprint location orders. About this Alba Desk Clock Pen Cup:Leatherette desktop alarm analog clock with pen cup features white contrast stitching. Finish / Material: Leatherette. AG13 / LR44 battery included.Special Instructions:Rush Service:1. Purchase Order must clearly state artwork instructions and logo to be used.2. One Color/One Location Imprint Only. About this Binder Flip Clip:Binder Flip Clip.Special Instructions:Rush Service:Catalog Quantities Only.One Color And One Location. About this 3- In -1 Brush With Sewing Kit:High Impact Plastic With Shatter-Resistant, High Quality Mirror.Twist Off Lid To Reveal Sewing Kit - Contains 6 Colors Of Thread, Needle, Needle Threader, 2 Buttons And A Safety Pin.Hair Brush.Special Instructions:Rush Service:Catalog Quantities Only.One Color And One Location. About this Solo Docking Station:Holds most smartphones and other small electronics while being charged, also serves as a phone stand and holder. Compartments for pens, scissors or any other small desk accessories. Charging station does not include charging cords or power outlets. Manufactured By Leeds. Note: Instructions Included: No Materials: Wood Related Search Terms: Desk OrganizerSpecial Instructions:Other imprint methods/areas may be available; please call for details. Please note that product images may not depict the standard imprint method included in pricing. About this Mini Piggy Bank:Small piggy bank features a twist-open bottom to access stored change.Special Instructions:1 Day Rush, available upon request for 1 color, 1 imprint location orders. About this Zen - Bamboo Stripe Pen Holder:Two-tone desktop pen cup made from genuine bamboo. Finish / Material: Bamboo. Pen / Pencil Cup. Genuine Bamboo.Special Instructions:Rush Service:1. Purchase Order must clearly state artwork instructions and logo to be used.2. One Color/One Location Imprint Only. About this Office Buddy Cube:3" x 3" Note Cube In 5 Colors.3" x 2" Sticky Notes.Mylar Sticky Flags In 5 Neon Colors.Built-In Pen Holder.Special Instructions:Rush Service:Catalog Quantities Only.One Color And One Location. About this Full Size Stand - Up Stapler:Rubberized grips.Includes standard staples.Material: Plastic. Related Search Terms: Stand Up Stapler Special Instructions:1 Day Rush, available upon request for 1 color, 1 imprint location orders. About this 5- in -1 Desktop Kit:5-in-1 desktop kit includes a mini stapler, staple remover, staples and mini tape.Material: Plastic case.Special Instructions:1 Day Rush, available upon request for 1 color, 1 imprint location orders. About this Liquid Wave Cube Memo Holder:Liquid wave cube shape memo holder. Liquid motion products are always fun, entertaining and perfect for promotional giveaways. Your customized company's logo or slogan on this memo holder makes the perfect gift for your clients at your next trade show or event.Products are not intended for use by children or pets. They may present a choking hazard to children under 3 years of age.Special Instructions:Rush order: Information received after 12 noon Pacific Time will cause the order to move to the next day production. About this Front Desk Bell:Call attention to yourself and your message. This retro desktop bell makes an excellent executive gift. Hotels, travel agents, or any boss will want this silver bell at their fingertips to summon assistance whenever they need it.Products are not intended for use by children or pets. They may present a choking hazard to children under 3 years of age.Special Instructions:Rush order: Information received after 12 noon Pacific Time will cause the order to move to the next day production. About this Crate Pen Holder:The adorable crate has all the style and character of a real shipping crate, but is sized to hold pens on you desk. Due to the handmade nature of this natural wood product, made from the wood of the Chinese Gugar tree, absolute uniformity of size and color cannot be guaranteed.Products are not intended for use by children or pets.They may present a choking hazard to children under 3 years of age.Special Instructions:Rush order: Information received after 12 noon Pacific Time will cause the order to move to the next day production. About this Sandro Desk Box:Executive desk box with 100 page paper pad, contrast stitching, letter holder, hide-away drawer, pen cup, phone / card holder with hidden slots for charging cables. Finish / Material: Leatherette.Special Instructions:Rush Service:1. Purchase Order must clearly state artwork instructions and logo to be used.2. One Color/One Location Imprint Only. About this Mini Desk:Mini desk includes stapler, staples, tape, and hole punch.Great for small workspace or briefcase. NOTE: Product comes with Prop 65 warning label. Label reads: "WARNING: This product may contain carcinogen, which is known to the State of California to cause Cancer. For more information, go to www.P65Warnings.ca.gov. Special Instructions:1 day rush is available on all in-stock items, one color/one location imprints, and laser engraved orders. Thank you Georgia, Vanessa and Taylor! We always make sure our promotional items are delivered just the way you wanted! The Custom Translucent Piggy Bank Coin Bank is great for all coin collectors! If you are having a donating event, why not use piggy banks? Piggy banks are a great way to save and collect money. The Custom Translucent Piggy Bank is classic pig-shaped coin bank that features fun wide-eyes. The Custom Translucent Piggy Bank features a top money slot and a bottom twist-off cap for easy release. 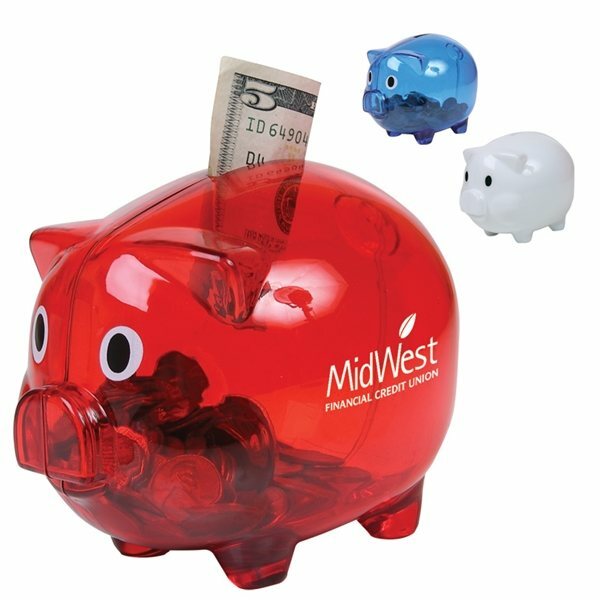 The Custom Translucent Piggy Bank is the perfect gift for promoting personal savings, credit, insurance, lending, company cost-cutting programs and more! Available in clear, translucent blue, and translucent red. Thank you Samantha and Timothy. We’re glad to read your good reviews on our Bug Mini Stapler. The Bug Mini Stapler is great for any office or educational institution. Whether you want to give these to your employees as an incentive, or students as a giveaway, they will be put to good use. Available in silver and translucent blue. The Note, Flag, and Ruler Set is great to give at any event! Customers will love to use the stickies inside. With over 600 items available in our promotional desk accessories selection, the perfect product is waiting for you! Our promotional desk accessories include piggy banks, sticky pads, sand timers, desk bells, staplers, memo holders, slips, sewing kits, and so much more! Promotional desk accessories are great for anyone that works in an office. Everyone loves to receive extra products for their desk, so why not give them a promotional desk accessory with your logo on it! Every promotional desk accessory in our selection has a different purpose, so choose wisely. We have many different desk accessories available in our selection. Need help selecting the perfect promotional desk accessory? Live chat with our customer service team to help you order. Look through our selection of promotional desk accessories. Shop here! At AnyPromo, we place a high standard on brand impact, just like our customers. Search our site for a wide selection of custom desk accessories, and see for yourself. Trade show and event guests are bombarded with boring branded swag at every moment, so it is extremely important to stand out. Our custom desk accessories are specially priced and proven to generate impressions. Click through our inventory of desk items on sale now. The following list of hot items is a snapshot of our selection of 615 choices of custom desk must-haves. We’re ready to help expedite your order, so give us a call! Grab your promo coin swag today! Desk accessories are great for any trade show! Customers love to receive items they can take home and use, and that is what our promotional desk accessories provide. Don’t miss out on all our promotional desk accessories available. Our featured list of promotional desk accessories will help give your desk some personality!